Ananthapuramu Govt. 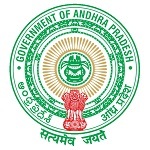 General Hospital Jobs Recruitment Notification 2019.Ananthapuramu Government General Hospital inviting applications for the positions of staff nurse on contract basis for initial period of one year in the department of Health, Medical & Family Welfare.Interested and Eligible candidates can apply for the positions. Number of contractual staff nurse positions to be filled in Medical, Health and Family Welfare Department, Government General Hospital, Ananthapuramu is 23. Candidates those who possessed inter with diploma in general nursing & midwifery or B.Sc nursing or M.Sc nursing degree can apply. Applicants those who have completed 42 years as on 01st July 2018 can apply. Age relaxation for SC/ ST/ BC is 05 years, disabled persons is 10 years. Recruitment of candidates will be purely on merit basis. Based on the year of passing and marks obtained in the examination candidates will be selected. There is no interview session. Aspirants those who are willing can apply for Ananthapuramu General Hospital Recruitment 2019 through OFFLINE mode. 28th January 2019 is the last date to apply. https://www.anantapuramu.ap.gov.in is the link to download application form and send to the address given below. Superintendent, Govt. General Hospital, Ananthapuramu.